WANA Friday Prompt: Every Friday, the WANA 112 group (Kristen Lamb’s little lambs: We Are Not Alone in this blogosphere) blogs on a prompt suggested by a WANA team member. This week’s prompt is. . . Create a Wordle (www.wordle.net) of something you have written. My Wordle features my very first blog post on WordPress: “Hello. Welcome to My Time to Write,” January 28, 2012. It gives a visual summary of my life experiences and writing interests. Don’t forget us kitties. 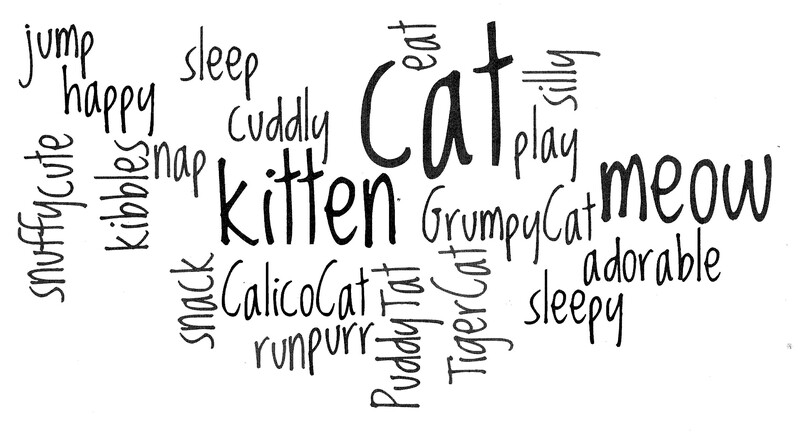 We have a Wordle of our own. How do you like it?